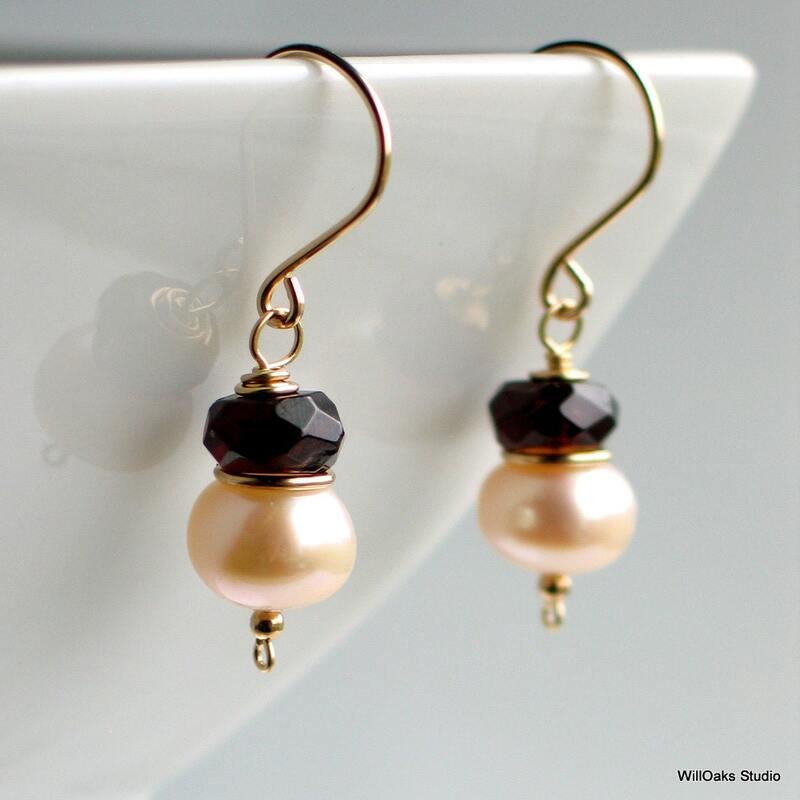 Plump off white baroque freshwater pearls, between 8 and 9mm, are topped by faceted large, naturally dark garnet roundels and captured with 2mm beads and wire wrapping. 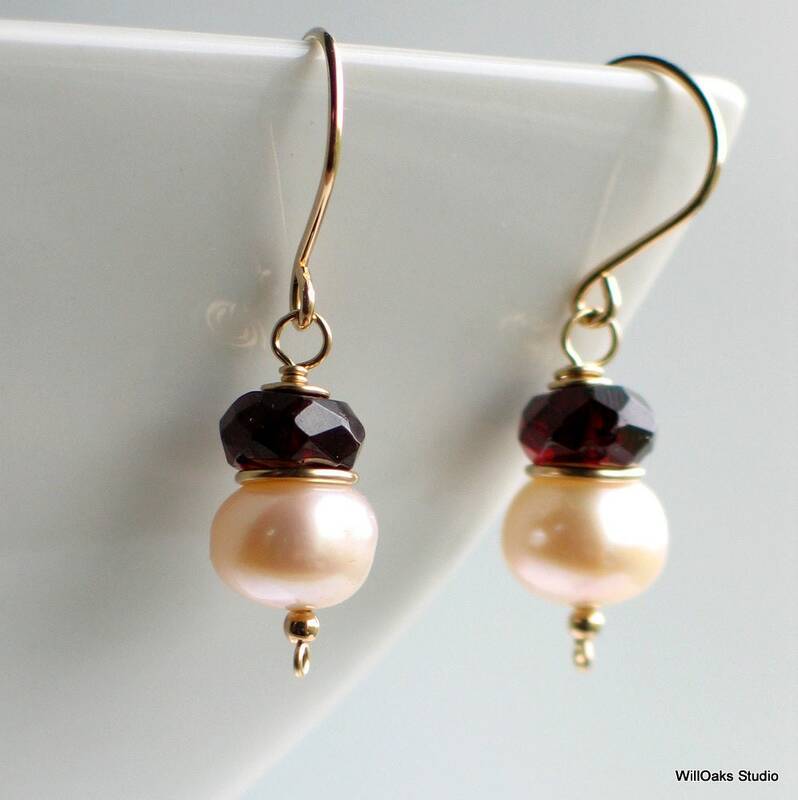 A metal circle, hand shaped from precious wire, sits between the pearl and the gemstone. Available in sterling silver, oxidized sterling (dark), or 14-20 gold filled--choose as you check out as these earrings are made to order. 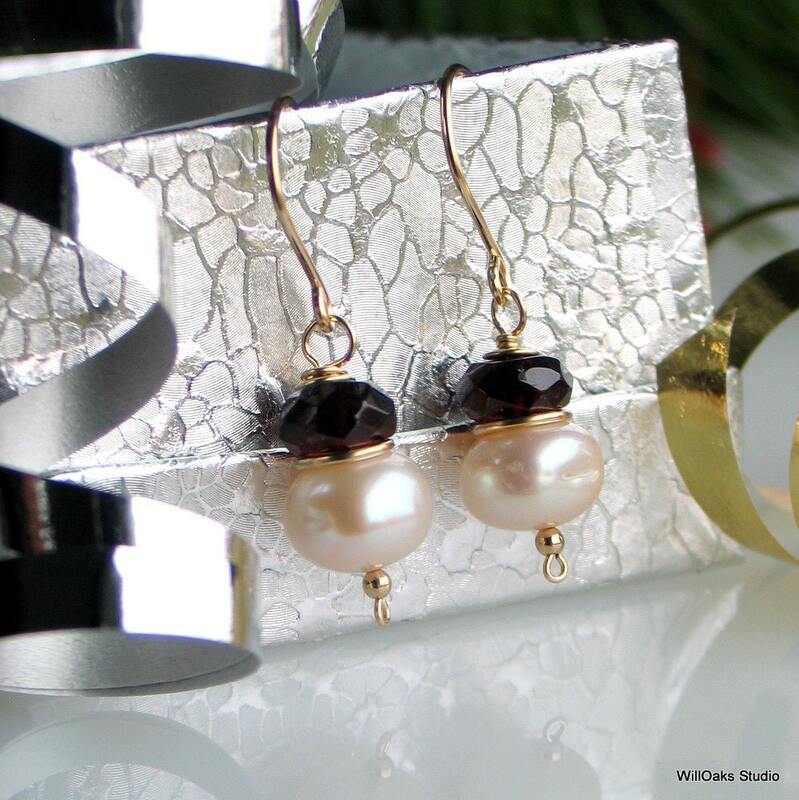 Hand formed 20 gauge wire forms ear wires that are tumbled for strength and shine. 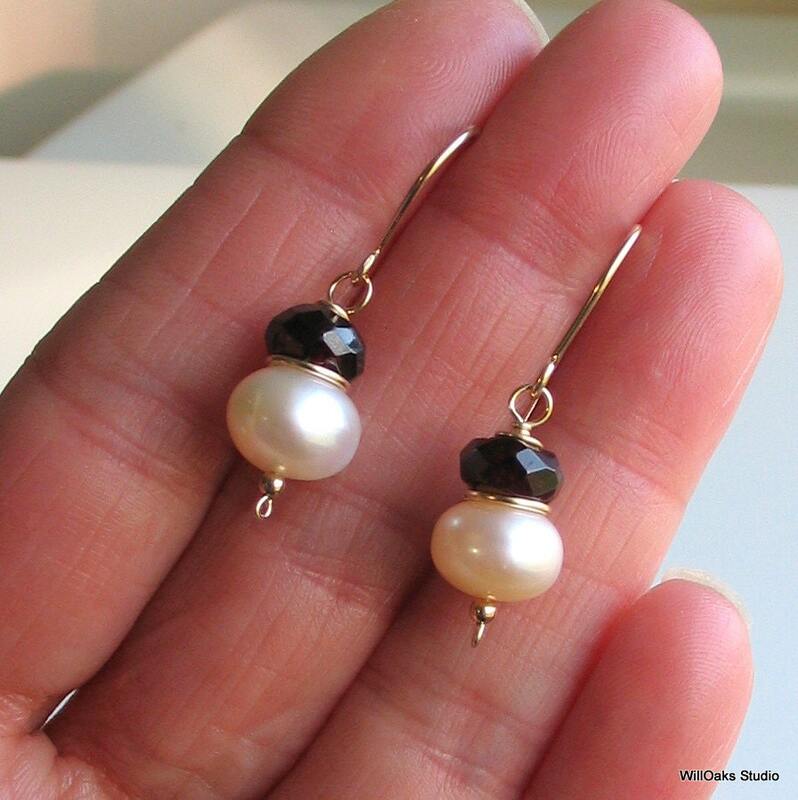 Earrings measure just under 1 1/2" (35-37mm) long from the top of the ear wire. Earrings are packaged in decorative gift boxes, all ready to give. 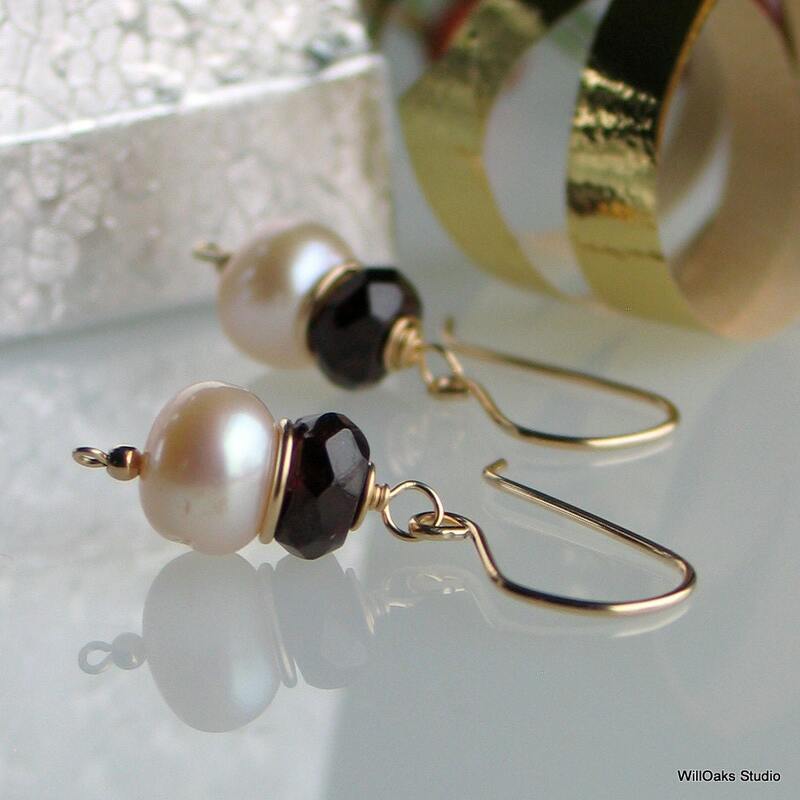 Please visit more of my studio here https://www.etsy.com/shop/WillOaksStudio and thank you for stopping by!